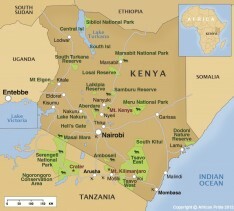 ​To the north-west of Nairobi are a collection of lakes making up Kenya's very own 'Lake District'. The soda lakes of Elmentaita (also spelt Elementeita), Bogoria and, probably the most well-known, Nakuru are most famous for their swathes of flamingoes. Game spotting, however, is also good and you can see warthog, waterbuck and large numbers of impala; slightly shyer residents include buffalo, Rothschild giraffe, eland, the occasional leopard and both black and white rhino. 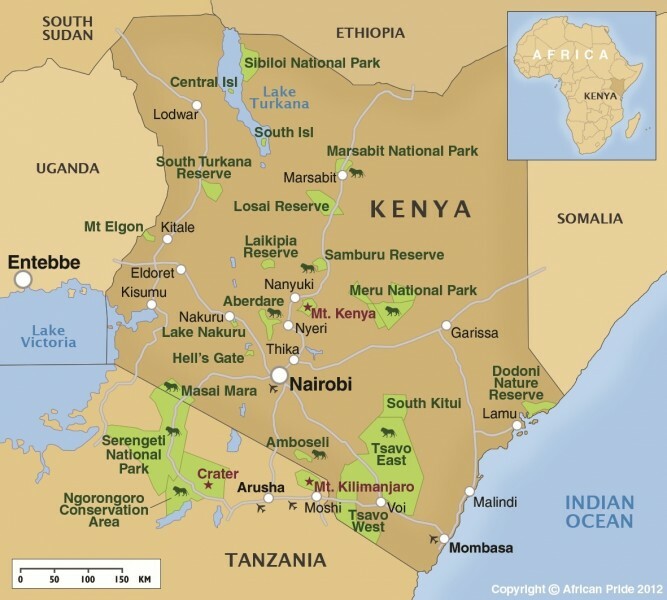 Lake Naivasha is a beautiful fresh water lake and is popular for its sporting and leisure activities.